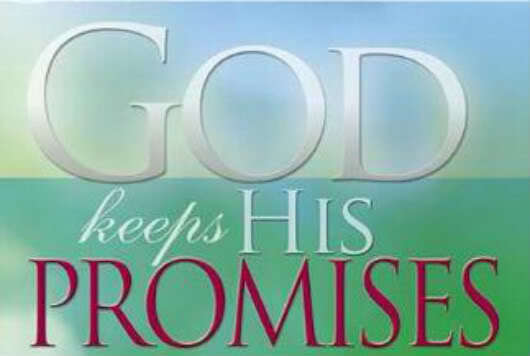 I Am a promise keeper, says the LORD. I cannot lie, and I never change My plans or purposes. They will be done, exactly as I have spoken. For My thoughts concerning you are only good. They are productive. I will build and make you, for I AM YOUR GOD. I Am the Master Builder, and what I do is perfect. I will construct you, not destroy you. For you will be built and strong. All that I invest in you is perfect, enduring and unfailing, says the LORD. My WORD and Work and Will are always GOOD, says the LORD. Believe in My Word. Believe in Me! For your faith pleases Me. I have assured you that I love you, and cannot and will not fail you. I will not let you go. You are mine, and you will remain in My tender, loving care. You will remain in My protection, and you will enjoy My provision. The best is yet to come, for I have hidden treasure for you to discover in My presence, where you will have fullness of joy, says the LORD. Amen! Page not opening though..
Let it be According to Thy Word received. Use this link for full message. Ah, treasure in Your presence, dear Lord. Your wisdom is greater than Rubies, those fine Words, like apples of gold in settings of silver. You are the Pearl of great price- there is so great a treasure in Your Presence, and Your comforts delight my soul! not working again….the enemy is really working hard against you!!!! Host go make Toast of the enemy coming against your word! Yes Lord, I receive this word by FAITH in Jesus matchless name. Amen. Thank You Abba Father! Amen. Hallelujah. Thank you Lord. I received it in the mighty name of Jesus Christ.